Last November, our Assistant Manager of Program Coordination Angus lived out his dream of seeing the pyramids on our Egypt & the Nile tour. We caught up with him to find out why he was captivated by the ancient sites and Egyptian culture. 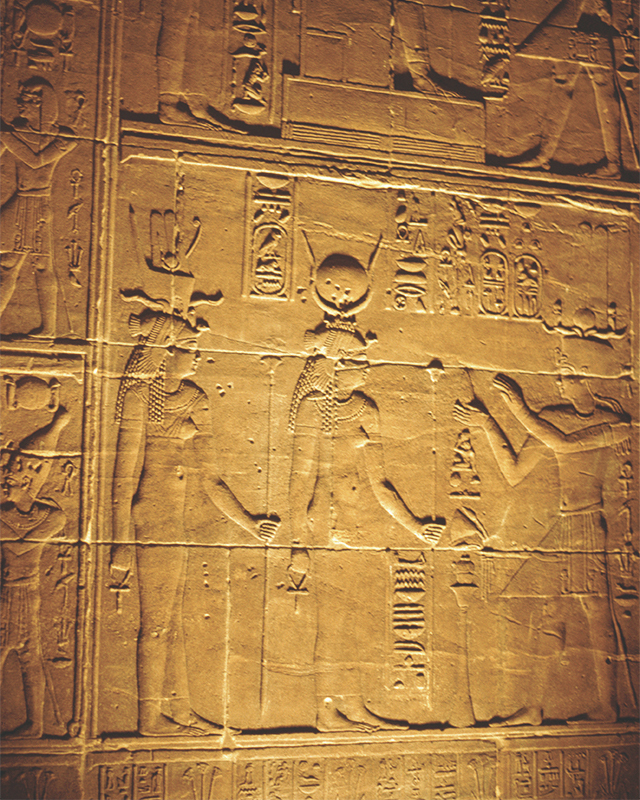 What was it like to see the ancient Egyptian sites in person? It was truly incredible. We got up close to the Great Pyramid, and it is humongous. How they moved each enormous building block is unfathomable! I was shocked at how well preserved everything is, too. You’re standing in front of ruins that are thousands of years old, but the sculptures and hieroglyphics looked like they were made yesterday. You could still see the tool marks on some of the walls! What was your favorite part of the itinerary? 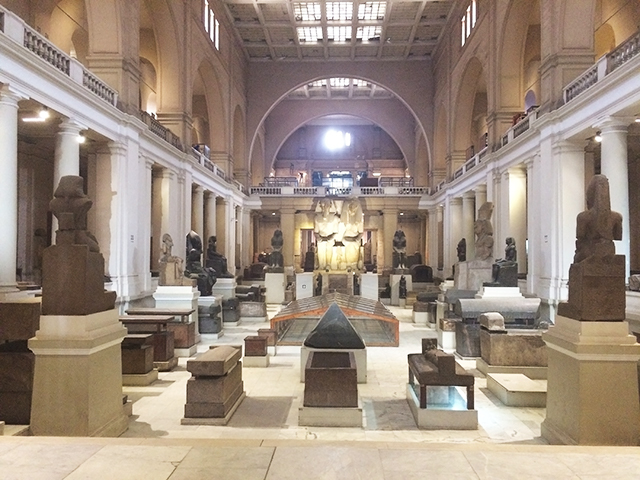 The Museum of Egyptian Antiquities was my favorite. This was a well-worn museum, with artifacts grouped in corners and mummies lining shelves. I loved the organic nature of it all, and in my opinion, it was a perfect representation of Egypt: a little wild, unassuming, and culturally rich. Did you go on any of the excursions? If so, did you have a favorite? I went on all of the optional excursions, but I particularly enjoyed the Philae by Night show. 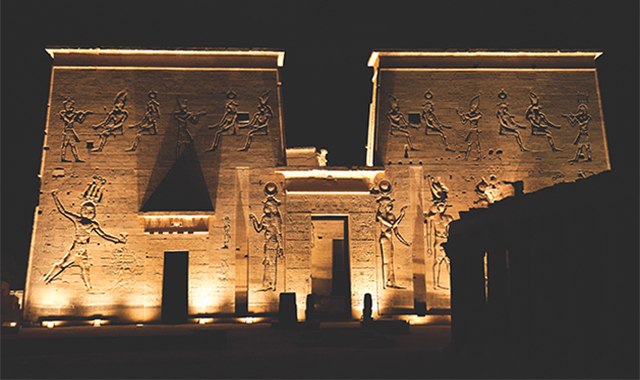 After sunset, we went out to this island in the middle of the Nile in southern Egypt, where they cast these beautifully choreographed lights on Philae’s ancient monuments. It was pitch black, so all we could see were the illuminated temples. It really gave a greater sense of importance to these architectural feats. How did the culture compare to your expectations? I think people have this idea that a predominantly Muslim country is quite restricted and closed off. But we saw a lot of the country on our tour, and despite what people think, Egypt is thoroughly modern. You’ll see a mix of people in traditional garb and others wearing jeans and t-shirts. I was also pleasantly surprised at Egypt’s rugged and remote atmosphere. We were the only ones at many of the places we visited, so it felt very private and we could really take it all in. Granted, the pyramids and other major sites were more populated, but most areas allowed us plenty of room to explore. Travelers tend to be more hesitant about visiting this area (compared to, let’s say, Europe). How did you feel during your time in Egypt? I never felt unsafe during my time in Egypt. The locals were welcoming and just grateful that we came to learn about their country and their history. At the major sites, you encounter a lot of eager vendors, which initially can catch visitors off guard. But they were non-threatening and I personally found it fun to participate in this aspect of the culture. I don’t get to haggle over the price of orange juice at Whole Foods, but here I could negotiate just about anything. I can’t speak highly enough of going to Egypt with a Tour Director, though. When you’re navigating an unfamiliar place, you want someone who speaks the language and knows the area. Our Tour Director had a wealth of local knowledge, and was always making sure everyone was comfortable. He undoubtedly made our tour what it was. I have fond memories of Egyptian food, which is a lot of the same fare you’d find in other Eastern Mediterranean countries. One afternoon, we stopped at a takeout restaurant in the middle of nowhere. I ordered nearly one of everything: different kinds of sausages and kofta and tabbouleh and hummus. It was all remarkable. I sampled spices and ingredients I had never had before. That was one of the best memories from my tour, because it was quite literally a taste of daily Egyptian life. The whole coffee culture in Egypt is also really neat because they have a unique way of brewing it. One morning, my Tour Director bought me an Egyptian coffee at a roadside stand. It was flavored with cardamom and clove, and was very strong—almost like a spicy espresso. It was the best coffee I’ve ever had! Did you bring back any interesting souvenirs? I brought back at least a dozen scarves! In Egypt, we wore them to avoid heat stroke. 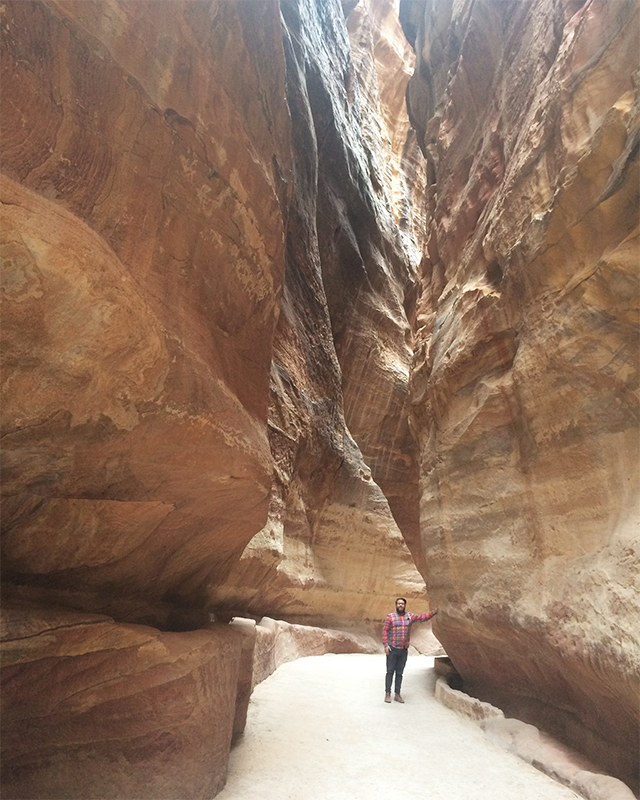 I also opted for the Jordan extension, and stocked up on gifts at the markets in Petra. It’s surreal to think that you can buy some of the same goods that were traded on the Silk Road thousands of years ago. Since my tour was in November, I got frankincense and myrrh for my mom as a Christmas present. When else are you going to be able to do that? Travel tip: Whenever I’m in another country, I try to mail some postcards back home, so I sent my nephew a few funny ones I found in Egypt and Jordan. I learned that from my dad, who traveled a lot for work and would always send us messages on the road. Any suggestions for other travelers going on this tour or visiting Egypt? Bring layers to protect yourself from the sun. Most days I wore long sleeves, pants, and one of the scarves I bought. Another tip: Bring as many single dollar bills as you can get your hands on. USD is becoming more widely accepted in Egypt, so you can often tip and negotiate with local vendors in this currency. Finally, pay the $8 or so to go inside the Great Pyramid. It’s worth it! On our tours, there are small things that you can do to enhance your experience, and that’s definitely true of this tour too. Last but not least, where’s next on your bucket list? I’m planning on traveling in the fall, so ideally somewhere warm! I’d like to visit Havana before any major renovations occur. I’d also love to go on our Highlights of Mexico tour to see Chichén Ítza. I crave those places that are less frequented and have an aura of adventure, and it’s great to have those opportunities offered through Go Ahead. Why do you want to visit Egypt? Let us know in the comments below!